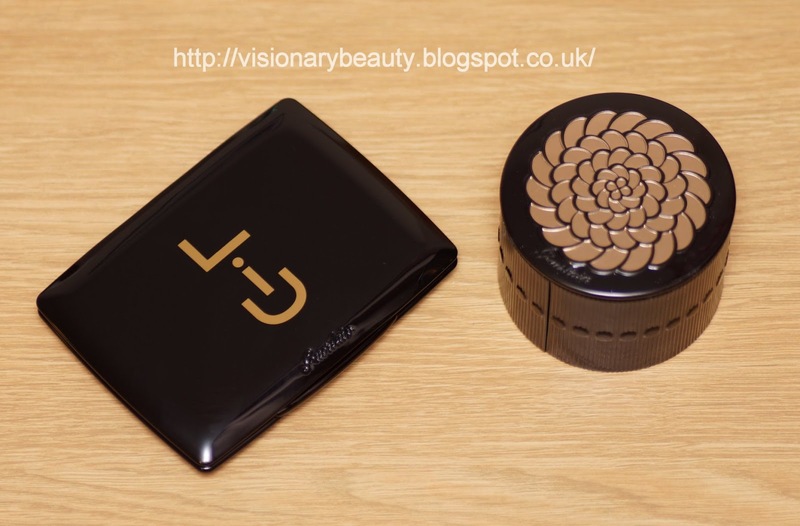 The limited edition black lacquer style palette (£54 but I bought this on sale for £27) contains three eye shadows (gold tinged cream with a frost finish, copper orange with a frost finish, grey with a slight golden sage tone and subtle shimmer) and a matte black powder liner. 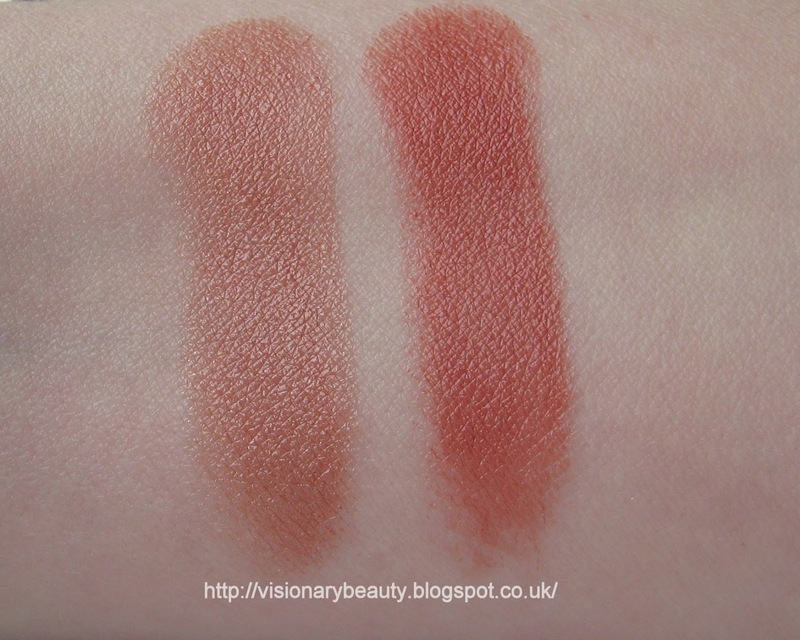 You also get two lip colours, which I had initially thought were both reds but on swatching one is a fuchsia and the other a tomato red, both have a satin finish. 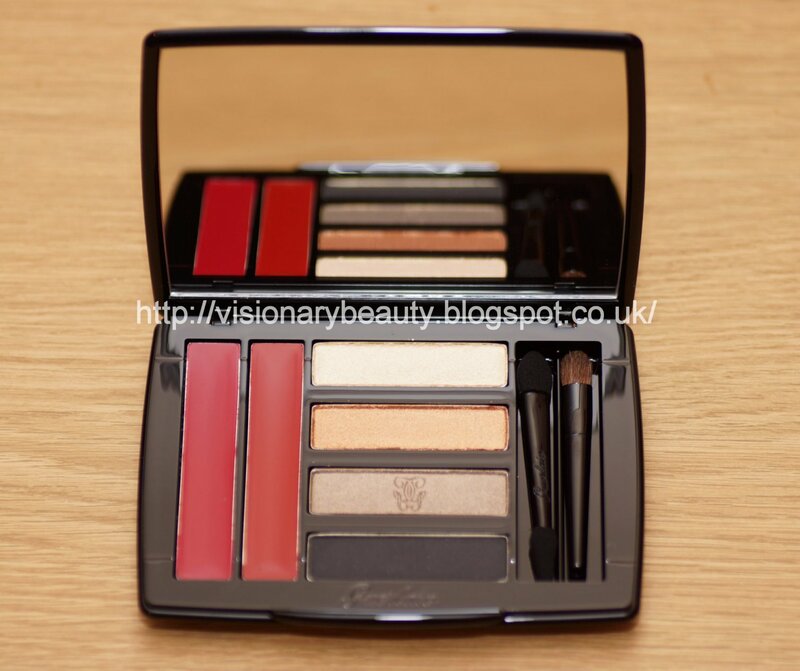 The palette also contains two little applicators and a good sized mirror. 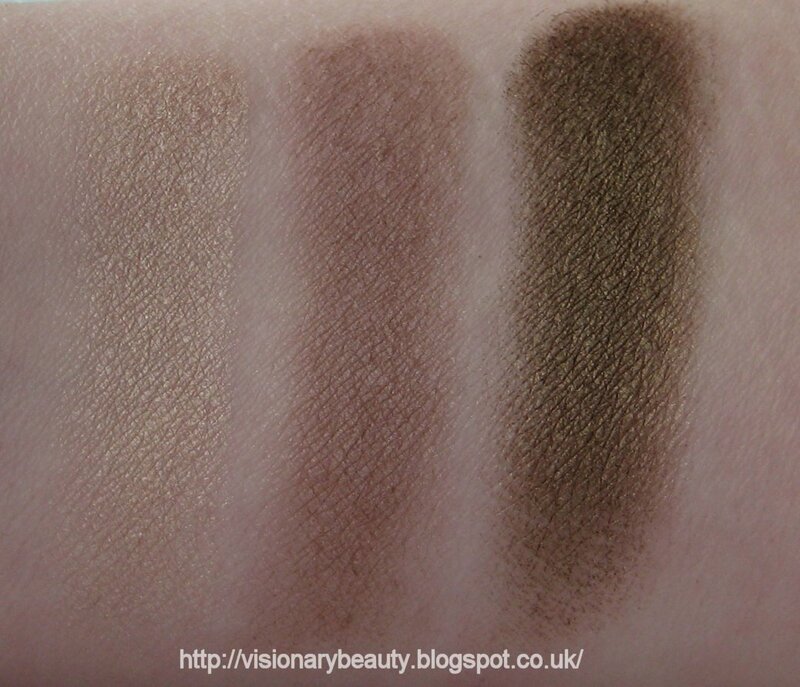 The shadows have excellent colour pay off and feel smooth and blend well. 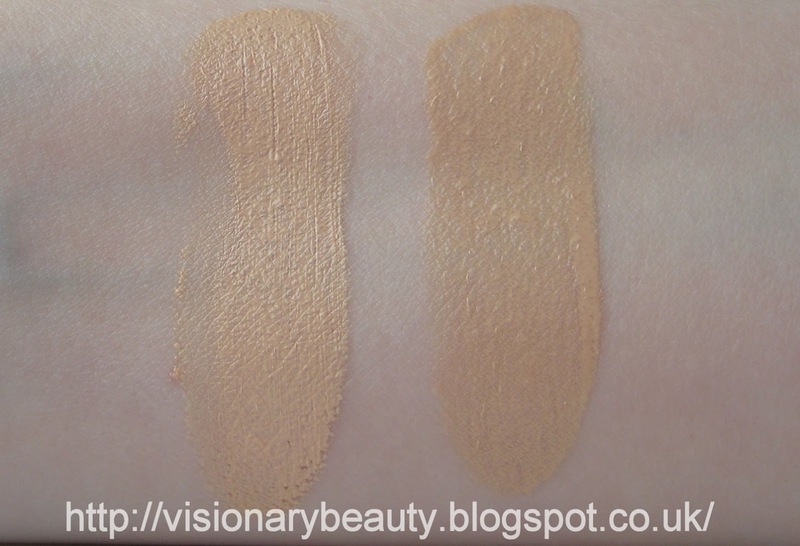 Though the liner shade has a much dryer texture and swatches patchy, on application the pigment is excellent and I found it easy to blend into the other shades. 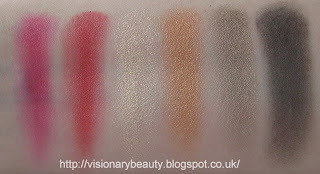 Lastability for all shades was very good. The lip shades are both intense and bright and though I understand a pairing of a bold red with the shadows I feel that the fuchsia is out of place. 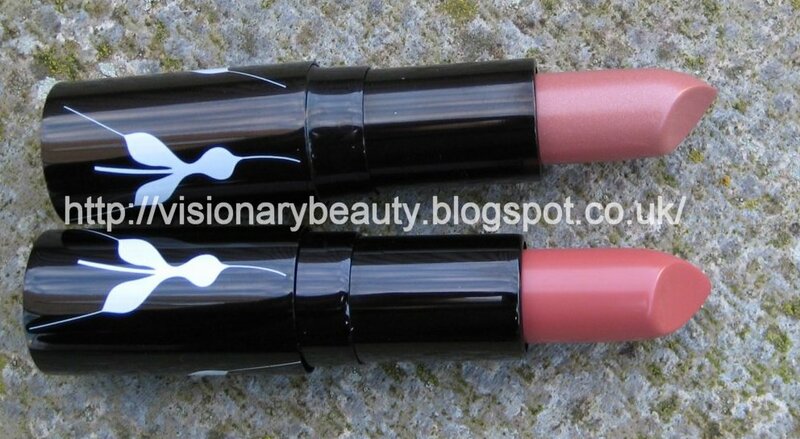 Both lipsticks have great pigment and leave a stain, I find them slightly drying. I think its a sturdy and high quality palette (though I would have preferred a lid over the lipsticks to prevent shadow getting into them) and I can fault the quality of the products its just simply the case that not all the colours work for me (the fuchsia lip shade does not suit me at all and I can only use a touch of the orange copper shadow otherwise I look a bit ill). 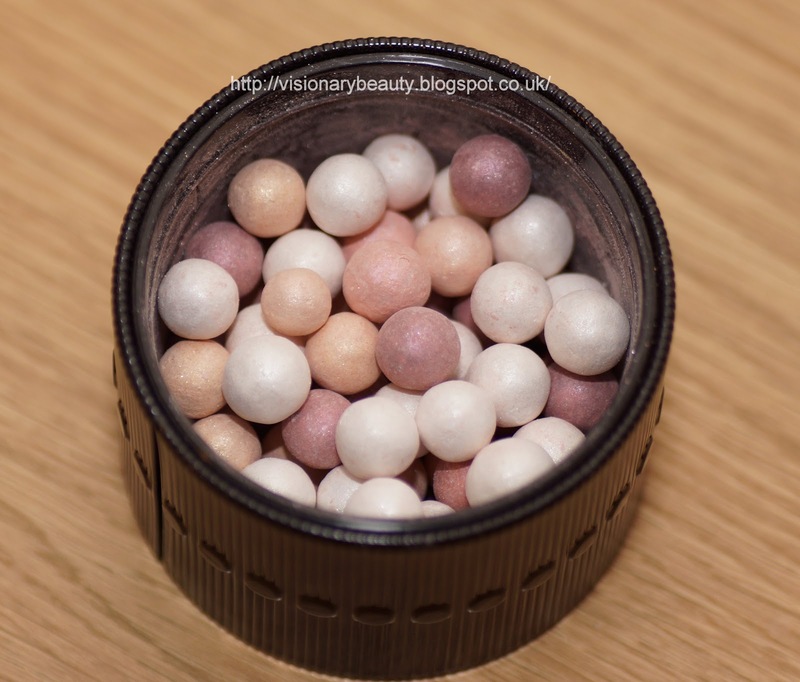 The limited edition Meteorites Perles du Dragon (£37.50 but I bought this on sale for £18.50) features six different shades: pale pink and beige (to even out the complexion), white and gold (to illuminate), plum and rosewood (to brighten). 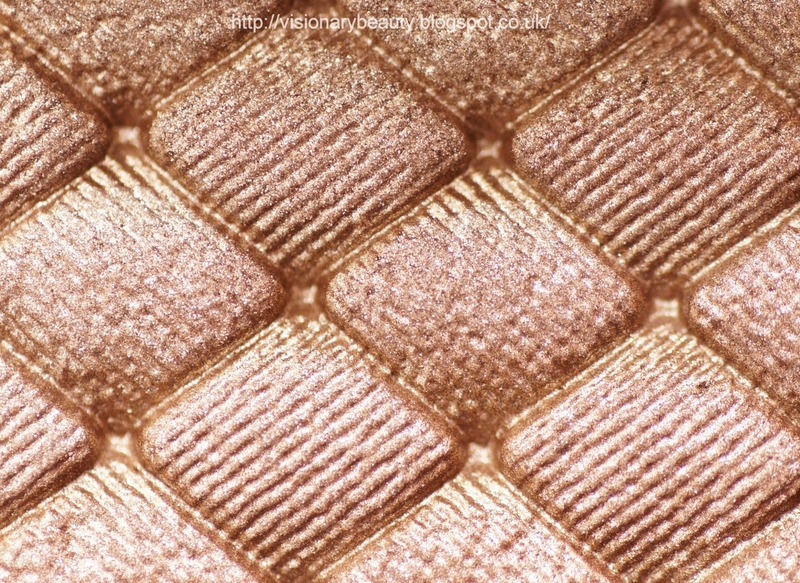 I always think that Meteorites look rather unimpressive when swatched; with little colour pay off and noticeable (though dispersed) sparkle. 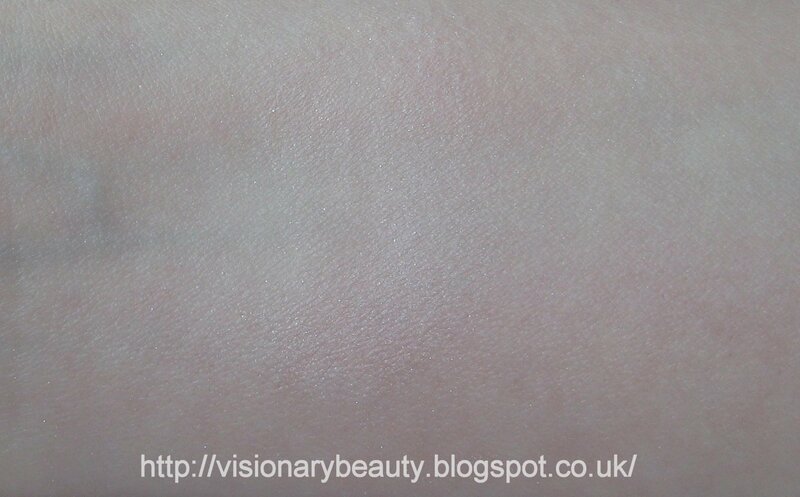 Its when its applied on the skin that you can see the benefit. The effect is subtle but it noticeably brightens the complexion and adds a soft glow and makes the skin look smooth. 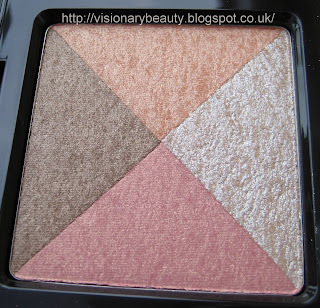 I often find these work well dusted over eye shadow to diffuse edges and bring a whole look together. 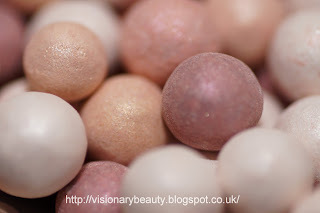 Once on the sparkle of Perles du Dragon doesn't translate onto the skin unless you get up really close. I don't detect any colour as such once applied, just a lightening.The glow lasts throughout the day. The one thing I am not keen on with any of the Meteorites is the heavy scent, it really hits you as soon as you open the jar. 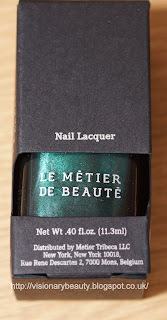 Le Metier de Beaute released four nail lacquer's as part of their 2012 holiday collection. I immediately homed in on Christmas Town (£16). Its a deep emerald with subtle shimmer. 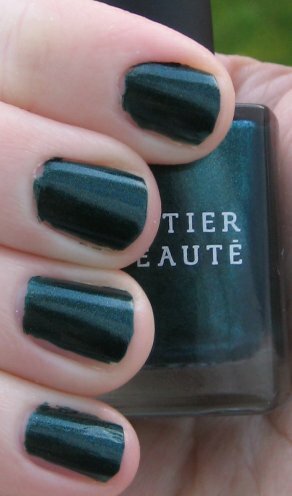 It goes on exactly like it looks in the bottle and unlike a lot of dark greens which can register as black once on, this is noticeably green. 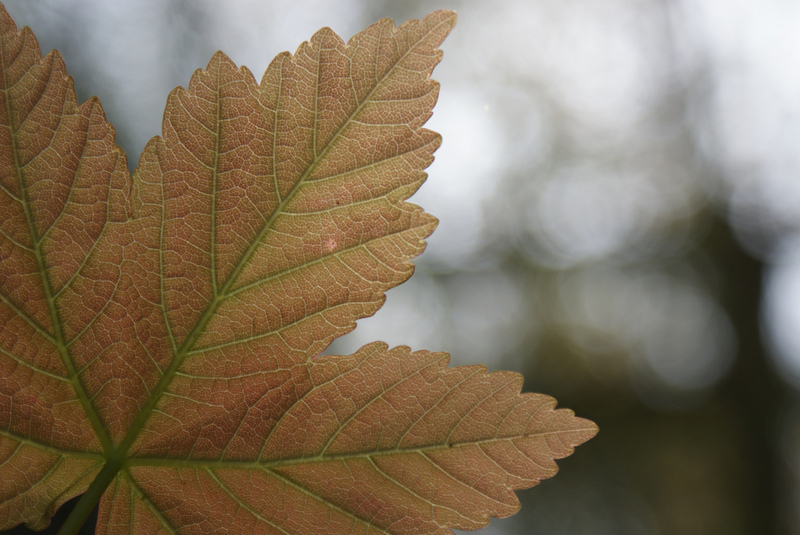 The colour has a real vibrancy about it which my photos do not do justice. Apologies for my shoddy application below, I thought I could do this whilst my four year old was in the same room, it turns out I was mistaken and had to lay this down with unknown speed due to looming grabby hands. 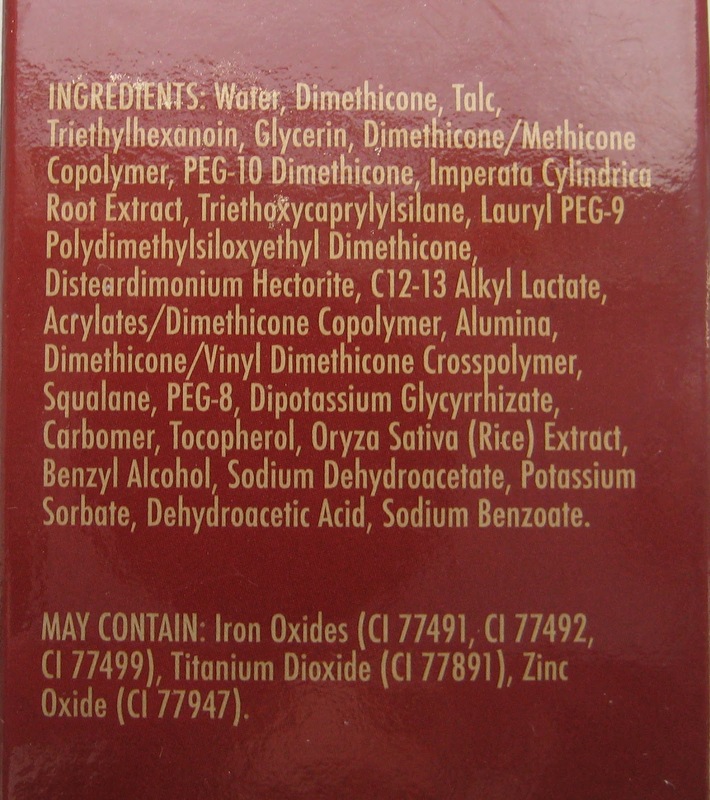 I really like the formula, it does not apply streaky and has a quick dry time. 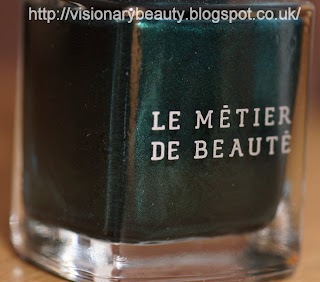 It also does not chip with ease and the colour does not fade, if you are looking for a deep green I think you'd be hard pushed to find anything better than this. 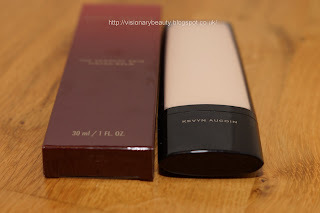 The Kevyn Aucoin brand has recently brought out a Sensual Skin Tinted Balm. 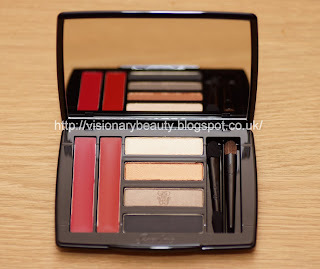 The packaging is extremely sleek, its very streamlined and smooth, with the signature black and red finish. 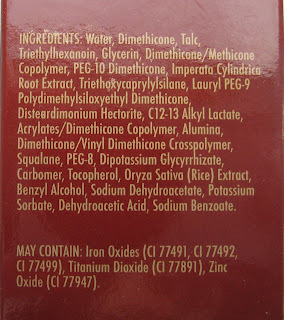 The paraben and oil free formula contains botanical rice extract and is rich in peptides, its meant to increase cell longevity and induce a delay in ageing. 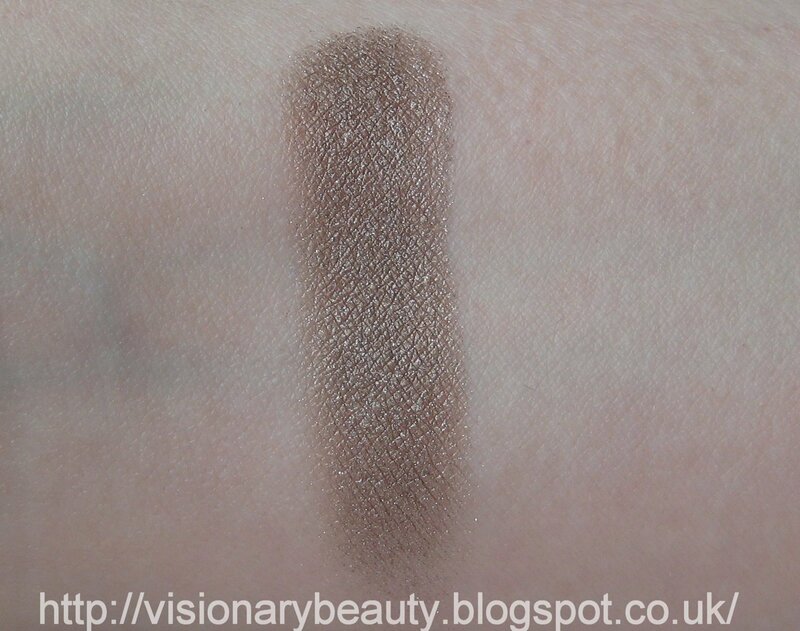 It comes in only 4 shades, I bought the lightest SB01 (£36) and though its a bit darker than my natural colour, it is wearable and doesn't have an overly yellow nor pink tone, though it does lean warm. It has a creamy consistency but manages to feel light weight. 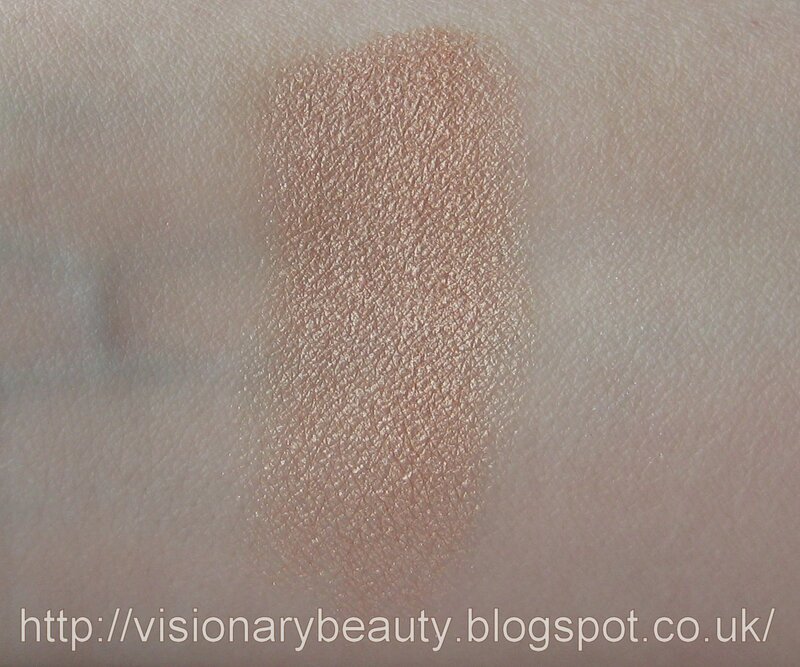 It glides onto the skin and blends in extremely well, though I do see potential for this to highlight dry areas. 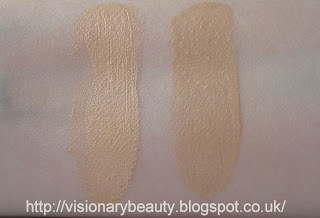 It gives light coverage (a step more than a typical tinted moisturiser) yet evens out the skin well. 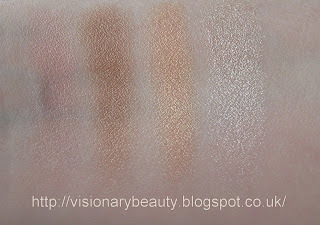 I really love the finish of this, it just looks very natural, its not dewy as such but looks very fresh. This was absolutely going to be a re-buy for me but unfortunately something in it does not agree with my skin and I get a lot of spots every time I wear this (I am extremely break out prone so this might not be an issue for you). 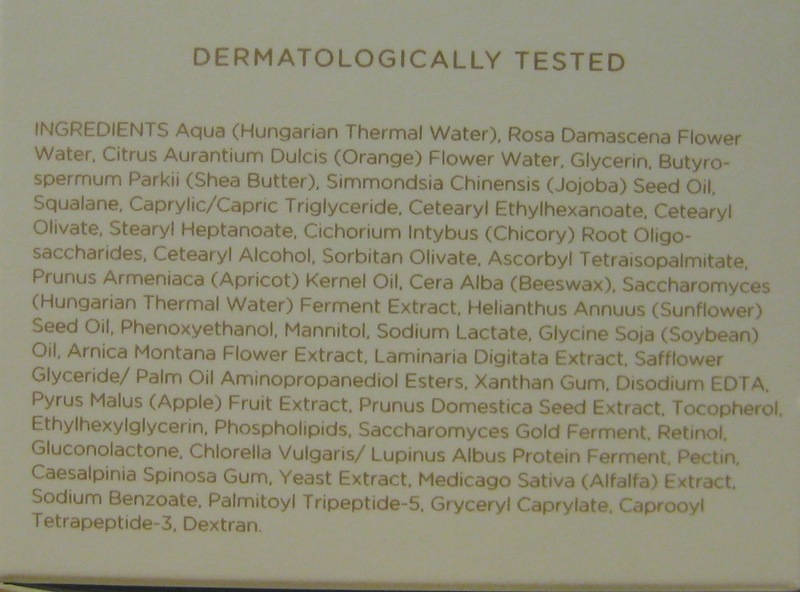 I think if acne is not a problem for you and you have normal/combination/slightly dry skin and want a light coverage with a natural your skin but better finish this could be what you are looking for. Featured in the fall Film Noir collection, the Starlet Mosaic (£31) is my first foray into the LM shimmer blocs. 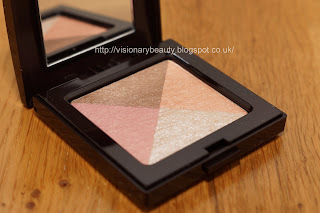 The blocs are meant to be used to brighten and illuminate the eyes, cheeks and body. 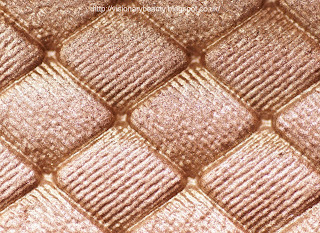 Starlet Mosaic features a pink, peach, warm brown and frosty white. All shades have heavy shimmer. 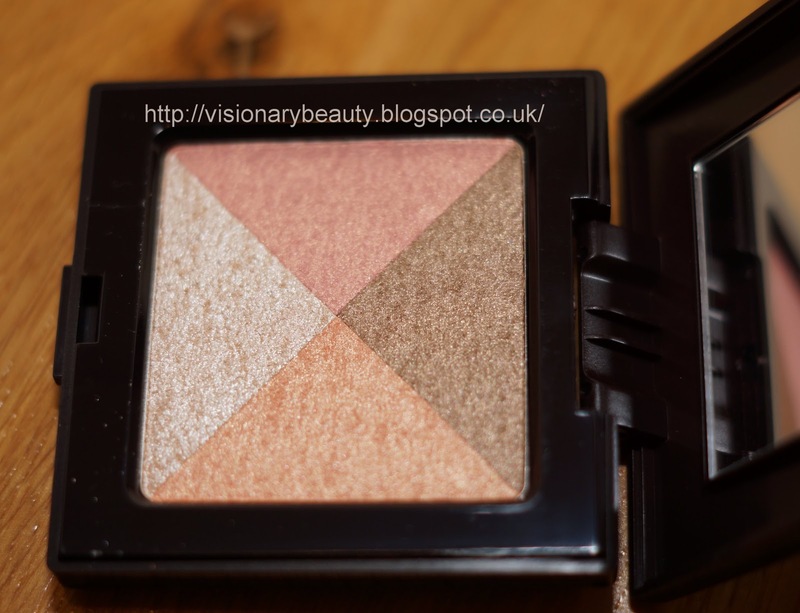 The effect reminds me very much of the Bobbi Brown shimmer bricks, though I found this to have better pigment and to not be as frosty. 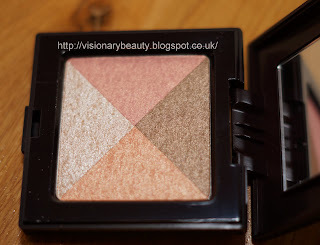 Unfortunately like the shimmer bricks, whilst I find the shades nice as a wash on the eyes (though Starlet Mosaic is predominately too warm in tone for me) with the cheeks it looks too sheeny and is prone to highlights pores. 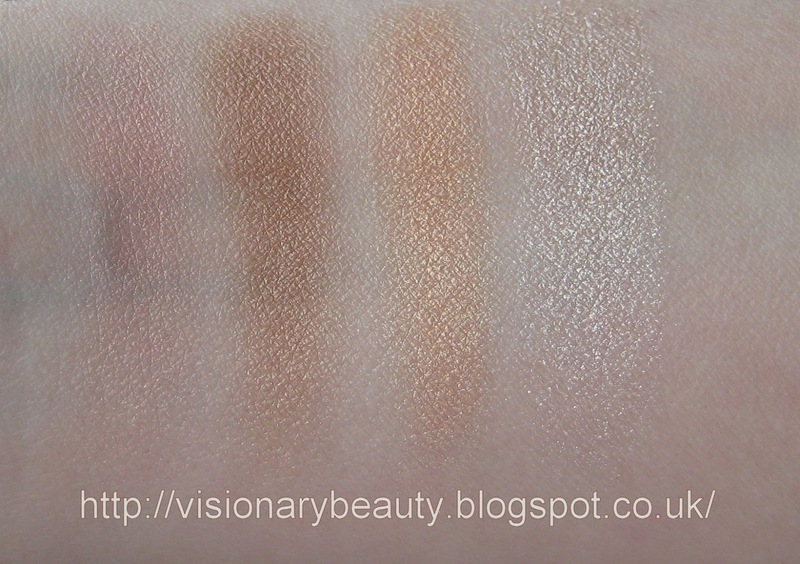 I like more natural looking highlighters and when I first put this on it was just screaming at me so I had to really buff it in to tone it down. 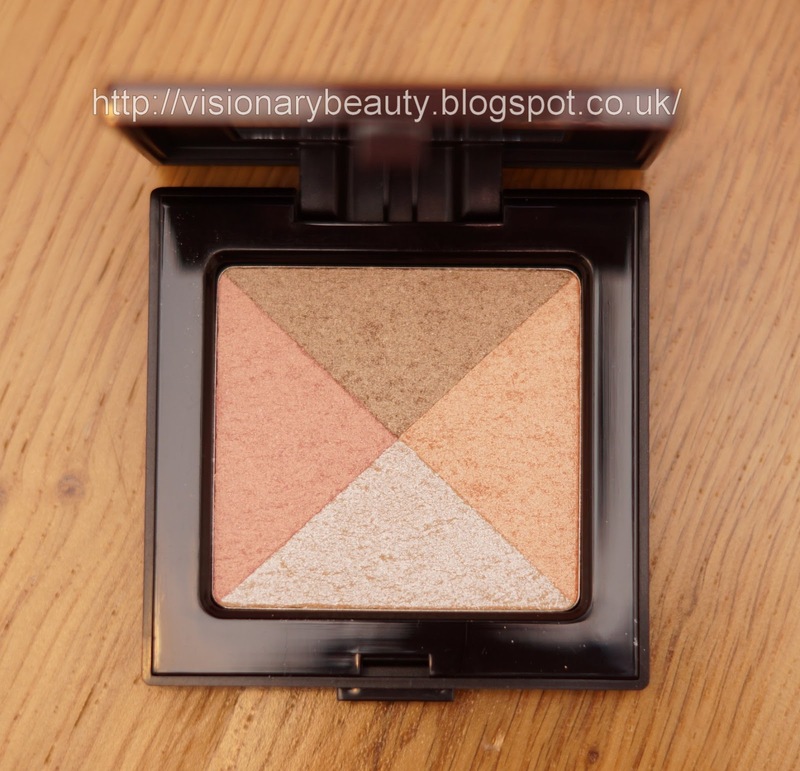 That is not to say I can't use this, but on the cheek area I do have to apply it with just the barest of touches. 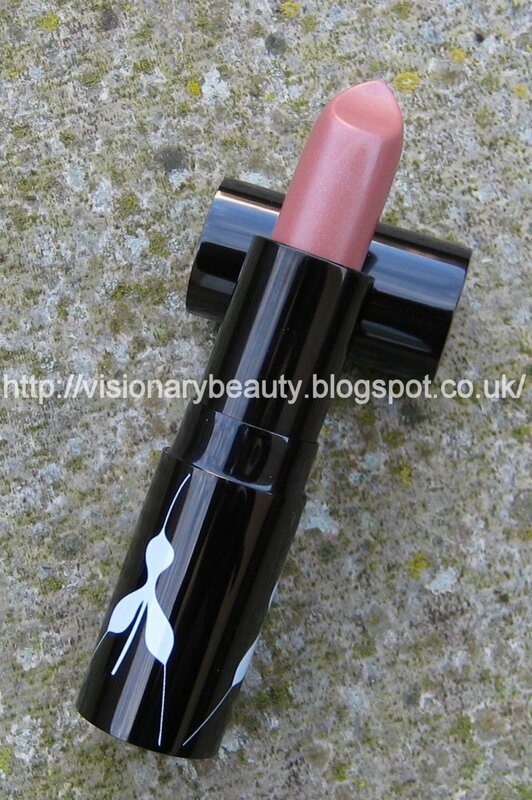 In terms of feel and wear, I have no complaints as it feels very smooth and lasts extremely well. Unless I saw a shimmer bloc that I wanted to use on the eyes only I would likely not buy one of these again, whilst I do like the warm illumination it adds to my complexion its just a bit too shimmery for me. 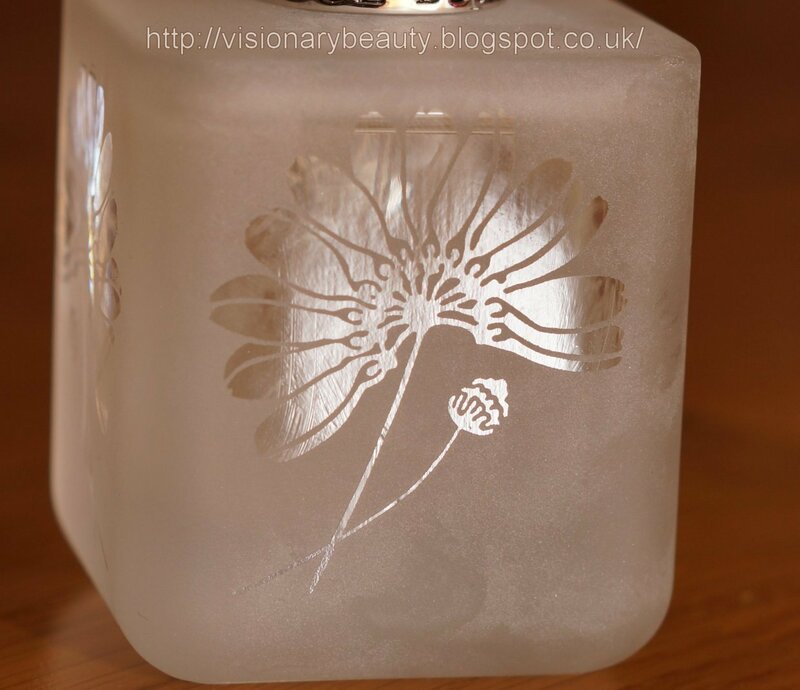 The launch of RBR's Fragrant Confections of Captured Memories features three scents; Lilt, Chatoyant and Vespers. 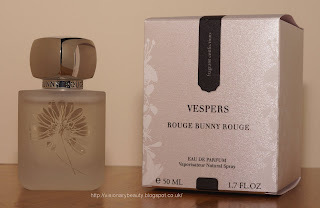 I had not smelt any of the scents nor read any reviews but such is my trust in the quality of RBR, I happily placed my order for Vespers (£81 for 50ml). The fragrance comes beautifully packaged, even the box itself is gorgeous with its textured softy shimmered finish. The glass frosted bottle had etched flowers on the sides. 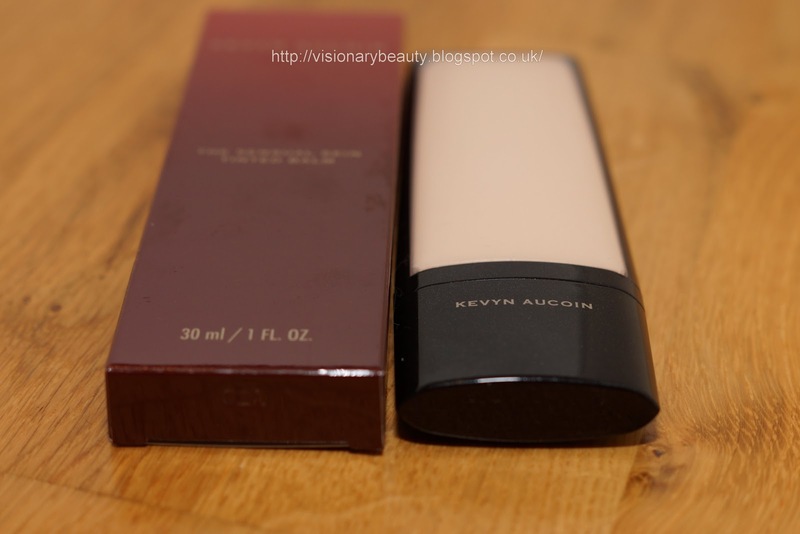 Both the bottle and the lid are very heavy, it feels and looks extremely luxurious. Whoever designed this couldn't have got it more perfect. 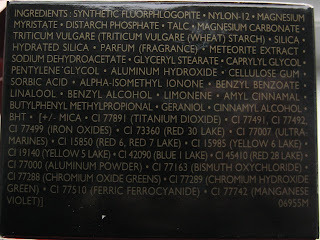 Now when I read perfume reviews its all very detailed on how the notes interact and what other smells they evoke. I'm afraid I don't possess the skills to pick out all the intricacies of composition so you won't get any fancy descriptions here I afraid. To me this is a very feminine floral, it has a touch of sweetness but there is also a touch of mellow warmth.Its not heavy, nor green or musky. Its a truly beautiful scent, light, elegant and captivating. 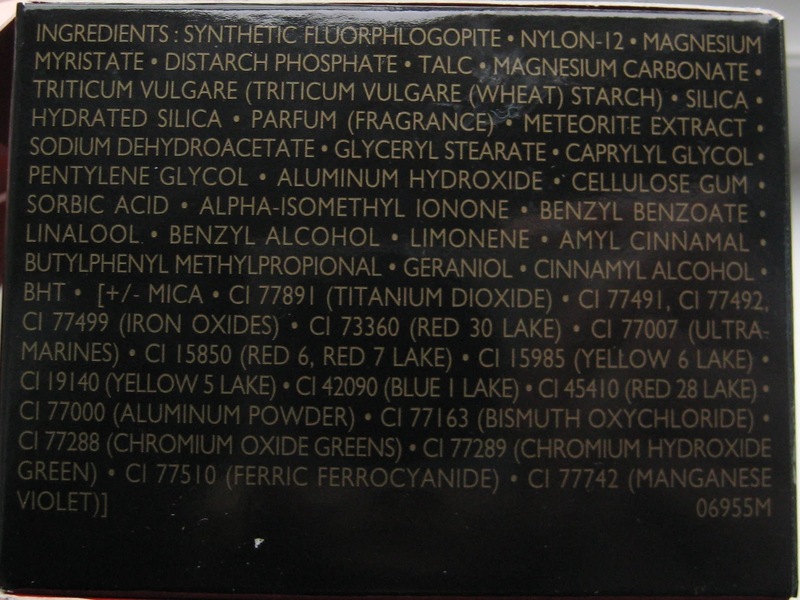 I think with perfume reviews its helpful to know the scents the reviewer likes so you can see if you have similar tastes, so for reference my other favourite perfumes are: Chanel Chance Eau Fraiche, Jimmy Choo, Stella McCartney L.I.L.Y, and Jo Malone Blue Agava & Cacao. 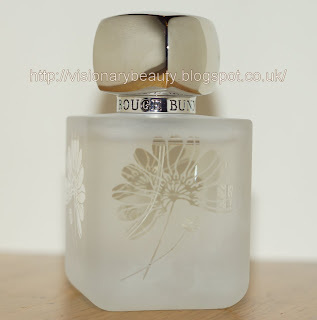 Needless to say I will buy this again and am likely to try the other two scents in the range as well. I felt a slight pang of regret when I proceeded to buy this eye cream, at £110 its the most expensive eye cream I have bought (La Mer The Eye Balm Intense was my second most expensive). 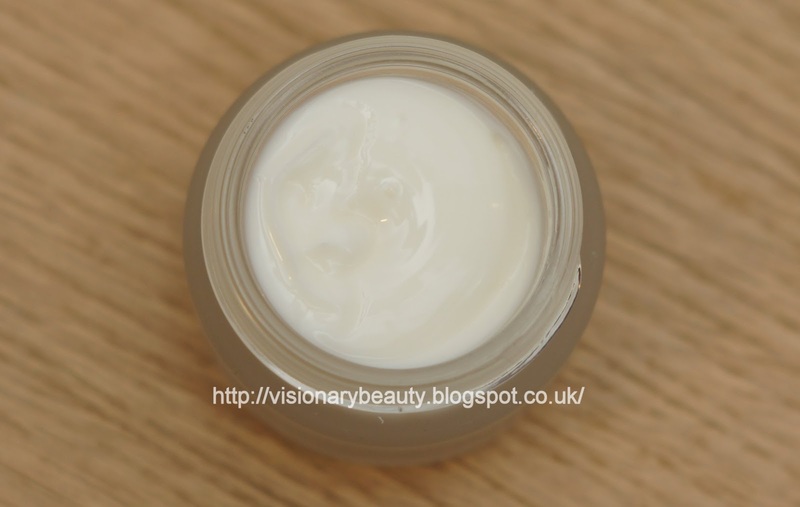 Its not that I resent spending this amount of money but eye creams for me can be rather fruitless; of the huge amount I have tried I can only think of 3 that I thought had any benefit. 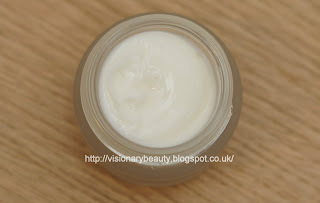 Unfortunately with age, my eye area is getting more puffy, less smooth and more lined, so finding a good eye cream has become a must. 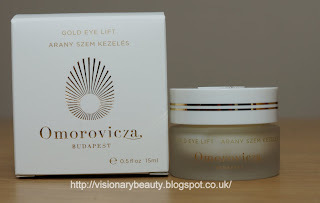 As I have had a lot of success with the Omorovicza line it was somewhat inevitable that I would pin my hopes on their eye cream being the one. 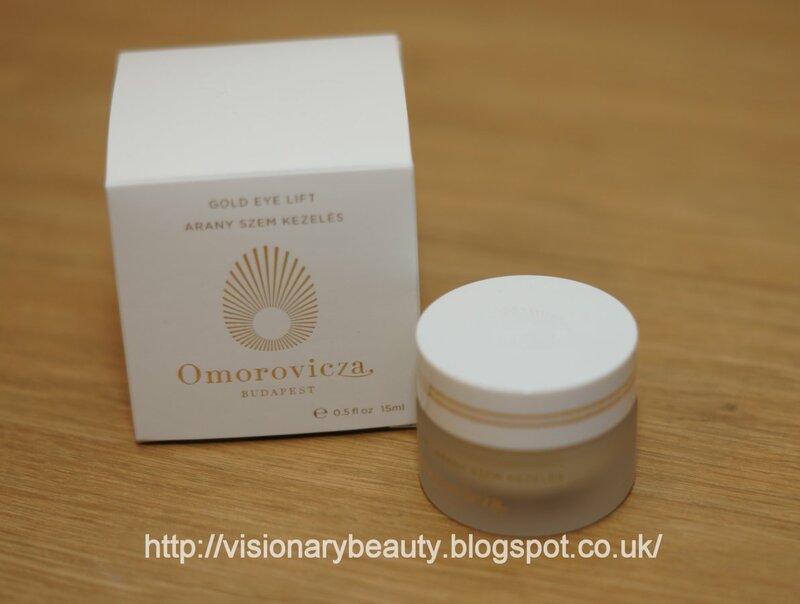 The Gold Eye Lift cream is meant to reduce the "depth and appearance of fine lines and wrinkles, renews elasticity, brightens tone and corrects sun damage"
Chicory Root Fructo-Oligosaccharide with 3D sequential release technology: tenses skin in the delicate eye contour throughout the day. I had just come off using an eye balm that really didn't work for me so my eyes were in a worse state than normal, I don't have high expectations I just want some improvement in moisture and puffiness. 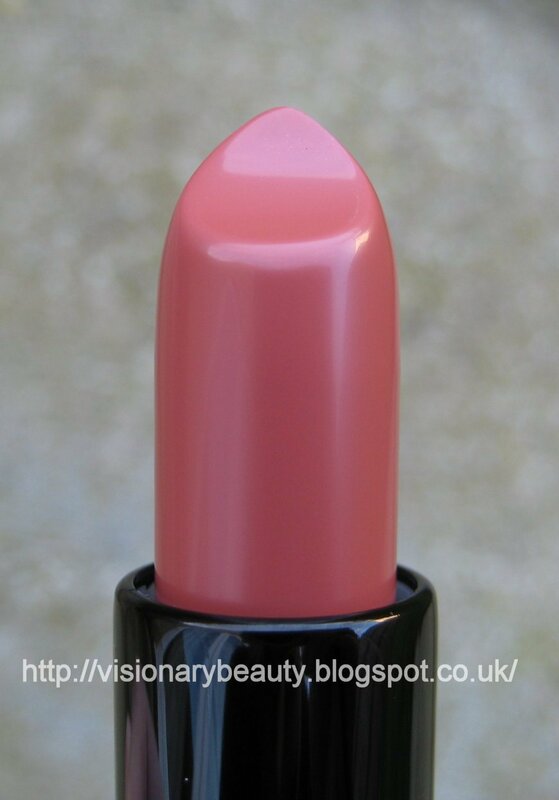 The texture is creamy and the perfect consistency, as its got richness but spreads easily and is not so heavy that it gives milia. 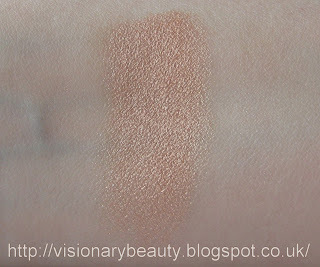 It feels extremely soothing and moisturising and sinks into the skin with ease (also making a great base for concealer). 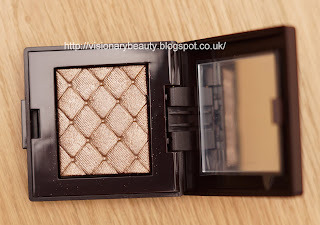 I only have a few weeks worth left of use but I have already decided to re-buy this when I can afford to. Its not to say that the results are "wow" but I noticed the difference in just two weeks, the area was more hydrated, looked less lined, and the surface looked more smooth and less puffy. 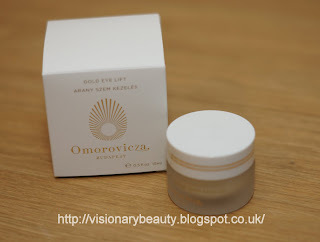 I reiterate that I don't think you should expect miracles from this but its easily the best eye cream I have ever used and the only disadvantages are the price and I would have preferred it to have been housed in a pump container rather than a jar. The formula of the colour burst lipsticks has it all; they are comfortable, creamy, moisturising with good pigment and long wear. 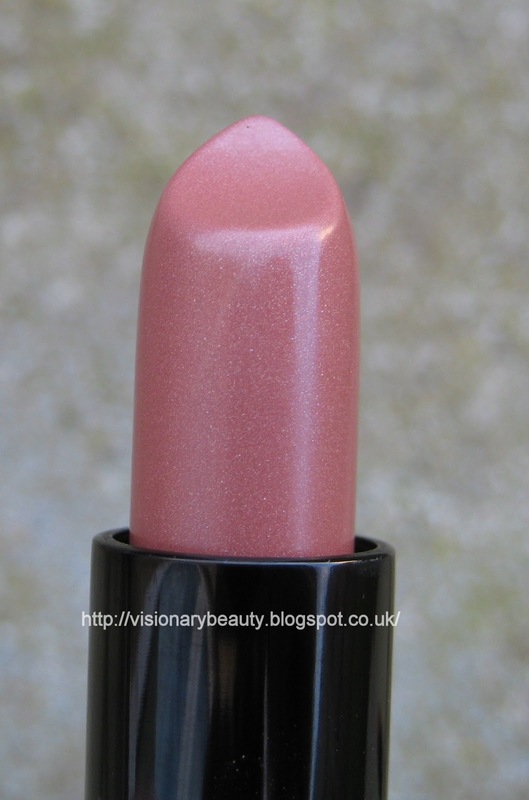 Unrestricted is a muted pink beige with a slight silver shimmer. I'd say this applies cooler than how it swatches. Its very pretty and I don't think I have another shade like it. Whim of mine is a creamy warm rose with a satin finish (£24 each). 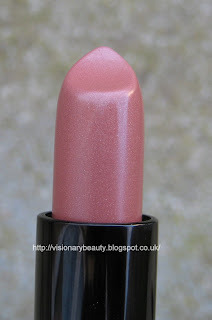 This shade is very heavily featured in blog posts about RBR lipsticks and I can see why its such a popular universal shade. 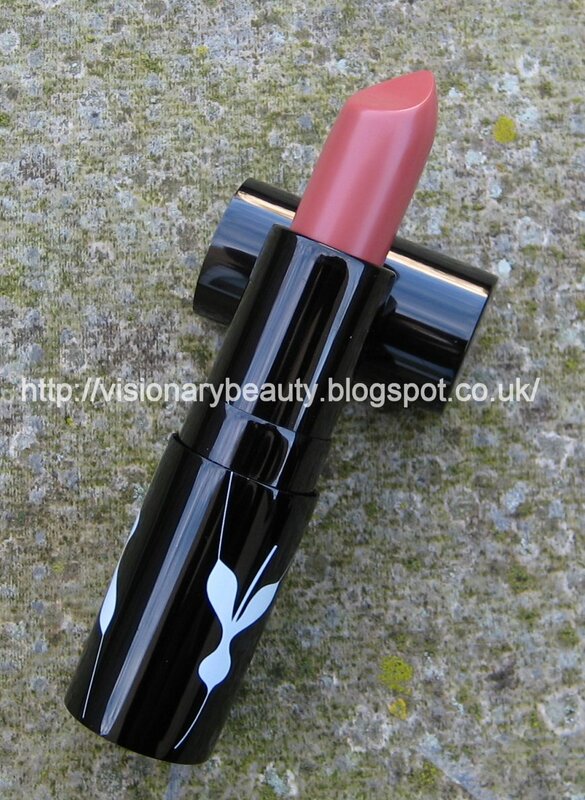 I bought one of these from rougebunnyrouge.com (extremely quick delivery and a beautiful site which is worth checking out for their looks section alone) and the other I received via a gift certificate which was very kindly given to me by RBR. Teri from Beautiful Makeup Search shares her last minute gift picks for everyone on your list. Happy Holidays! 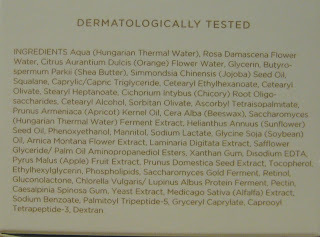 Looking to try out REN’s top pick skincare items, but don’t know where to begin? Lola’s Secret Beauty Blog has just the solution for you: the REN Six of the Best Gift Set! Is Essie’s Leading Lady as gorgeous as cult favorite Ruby Slippers? Check out polish insomniac’s comparison post! Prime Beauty wants us to get ready for a smooth take-off and a gorgeous landing with Benefit’s Holiday She’s So Jetset Palette! Modesty Brown gives us a little peek at her new brushes and also shares some exciting news about availability of Chikuhodo brushes. 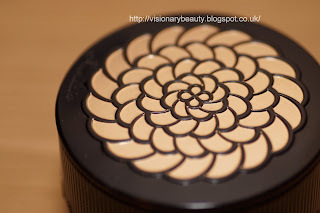 Perilously Pale has always struggled to find bronzers that don’t look orange or muddy on her fair skin but she finally found the perfect rosy toned bronzer she’s been looking for in Benefit Dallas. 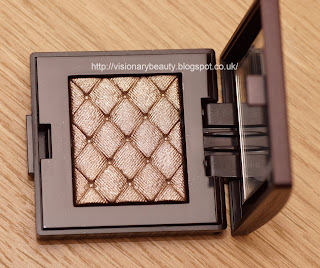 Its time for a bit of glitz, Visionary beauty checks out a stunning Laura Mercier Illuminating Eye Colour. Lisamarie from Beauty Crazed gets a chance to compare and contrast salon colour vs. home colour – check out her results and see if the pretty pictures don’t have you longing for some Goldwell colour of your own! 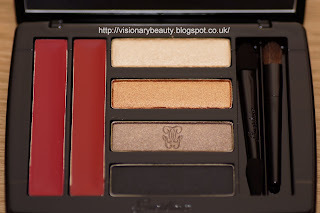 Do you like to give or receive makeup palettes as gifts? 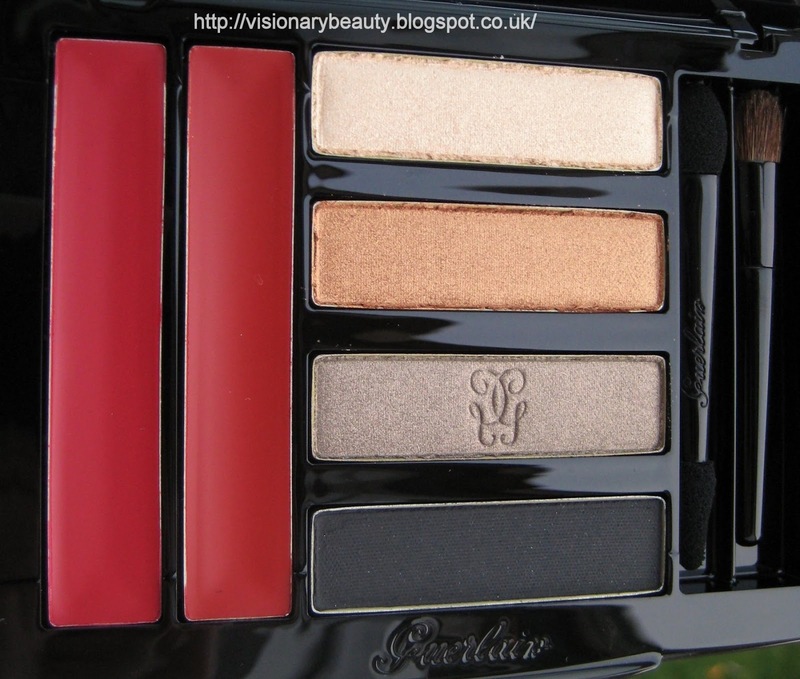 Paula, from Older Girl Beauty, shows us some of the Holiday palettes that brands have out this season. 15 Minute Beauty thinks that the L’Oreal Diamonds Collection is worth tracking down. I thought it might be useful to show you all the newer shade refill pans from Rouge Bunny Rouge together. They currently offer 9 refill shades (of which 3 are their best-selling shades in their original line up). 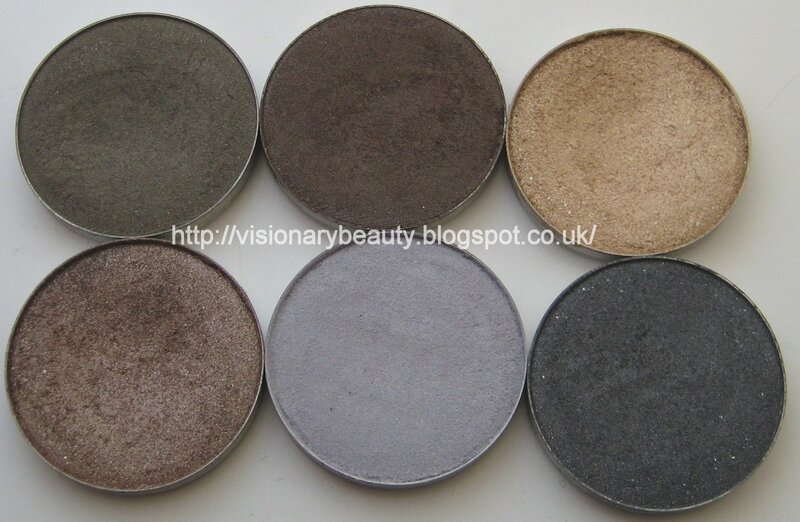 Shades described below follow clockwise, starting from top left in photo. 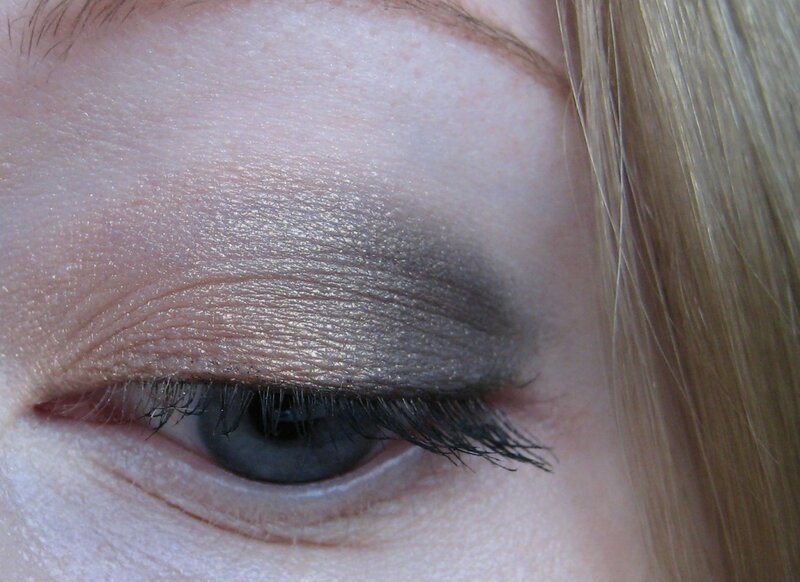 Trumpeter Koel - iridescent dark grey/charcoal base with a strong blue tone. Lilac Reef Curassow - blue toned pale lilac with a semi matte finish. Abyssinian Catbird - metallic mix of brown/bronze/olive and gold highlights. Rouge Bunny Rouge shadows tick all the boxes for me; great pigment,blend beautifully, interesting colours and good wear. I bought 6 of these shadows from zuneta.com and 3 were sent to me for free. The Holiday Art Deco Muse collection focuses on metallics for the eyes and rich reds for the lips. 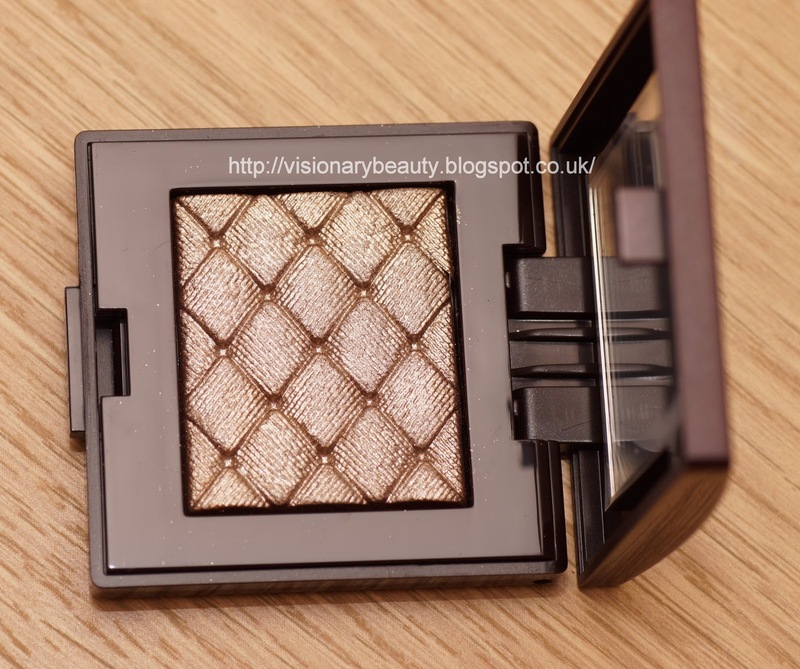 The four quilted Illuminating Eye Colours instantly stand out. 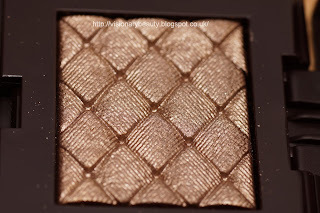 I am not into high shimmer/metallic finishes such as these, but upon swatching I didn't have any doubt in my mind that at least one needed to come home with me. 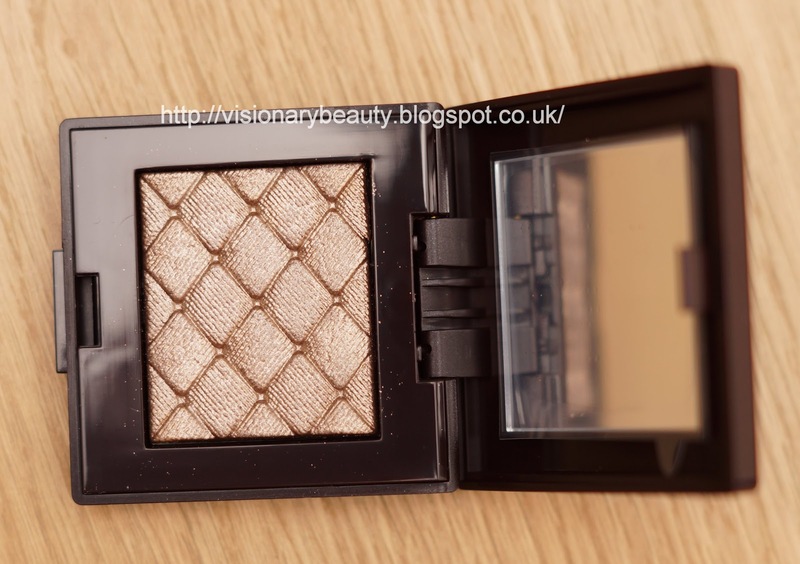 The pigmentation is phenomenal, I actually try to apply this lightly such is the intensity.The shadows are embossed with a quilted pattern, it applies extremely smooth and blends well. 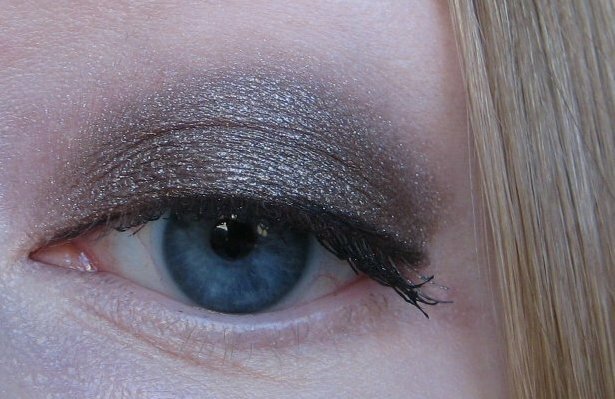 The shade I bought, Gilded Bronze (£20), applies a lot cooler than it looks in the pan and though its called bronze, I would describe this as a taupe. 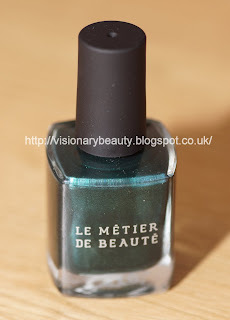 I think its a beautiful shade and I am very tempted to go back for more.